LOS ANGELES, CA - MARCH 13: Nikola Jokic #15 of the Denver Nuggets shoots the ball during the game against the Los Angeles Lakers on March 13, 2018 at STAPLES Center in Los Angeles, California. LOS ANGELES – Tuesday night’s game was a tale of two halves, and the Nuggets didn’t like the second-half script. The L.A Lakers authored a second half rally, fueled by Kyle Kuzma and Isaiah Thomas, and the Nuggets could not get stops when they needed them in a 112-103 loss at Staples Center. The loss dropped the Nuggets (37-31) to 10th in the Western Conference, a full game behind Utah and San Antonio, who are both 38-30. The first half was a defensive struggle, and the Lakers hit first with physical play especially around the rim. 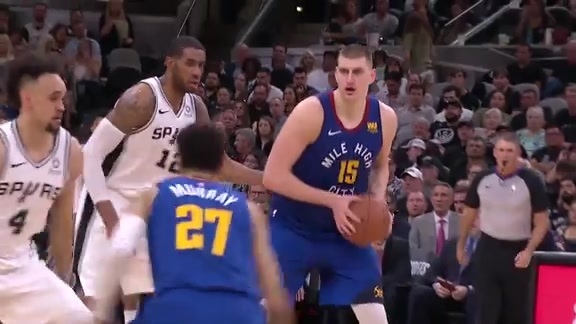 The Nuggets got into the paint, but things closed on ball handlers and shooters quickly once they got there. The Lakers closed the first on a 23-8 run and held a 35-22 lead. But the Nuggets punched back in the second quarter. Brook Lopez and Julius Randle, who each had a big impact in the first quarter, were all-but silenced in the second. Randle was swarmed in the post and hounded into missed shots. Lopez found a ton of resistance on his post touches as well. Mason Plumlee was in the middle of it all, playing tough, heady defense and collecting a couple of blocks in the process. The Nuggets held the Lakers without a field goal for a near six-minute span in the second, and the Lakers scored just 13 points in the entire quarter. The Nuggets had climbed out of the early hole and were down just one at the half. But the third quarter brought offense from places it hadn’t come from in the first half. Kuzma had gotten off to a rough start. He was 1-of-6 from the field and 0-4 from the 3-point line. But the prolific scoring rookie caught fire quickly in the third. And to make matters worse for the Nuggets, Thomas was gaining a foothold on offense as well. It was his ability to penetrate and draw defenders that allowed Kuzma and other Lakers to get clean looks from the arc. And once a few shots went down, the floodgates opened. The Nuggets had carved out a 13-point lead in the third, but the Lakers erased half of that by the end of the period. 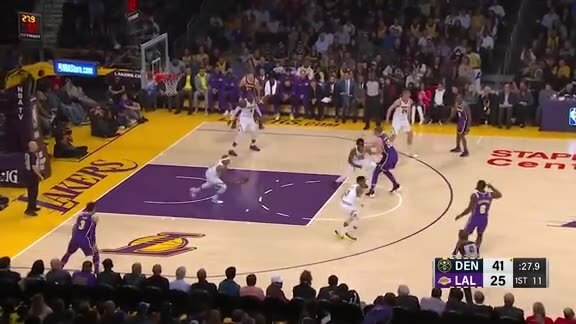 By 7:40 in the fourth, when Lakers rookie Lonzo Ball hit a 3-pointer, they took back the lead and never relinquished it. Wilson Chandler did his best to keep the Nuggets in it, scoring a season-high 26 points as he continued his solid post-All-Star play. He added 10 rebounds and four assists. But the team’s defensive miscues took their toll. After the Nuggets held the Lakers to 35.6 percent from the field, including just 28.6 percent from the 3-point line in the first half, the home team broke loose to hit 53.3 percent from the field and 53.3 percent from the 3-point line in the second half. 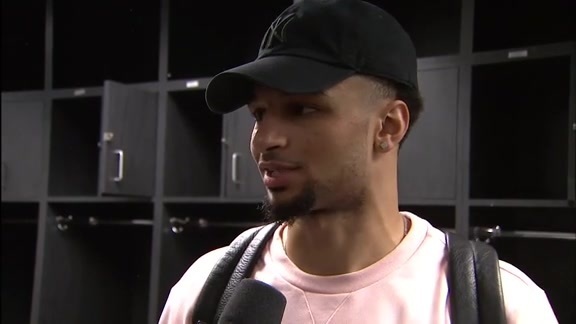 All the while, the undercurrent of the L.A. Lakers crowd jumping all over their new nemesis, Nuggets guard Jamal Murray, ran through the game. But Murray answered those jeers and taunts with cool nerves and a solid game of 18 points, six rebounds and four assists. Murray shrugged off the whole scene. The Nuggets have much more on their mind. They have just one more home game left this month – Thursday against Detroit – before embarking on a seven-game, 15-day road trip to close the month of March.